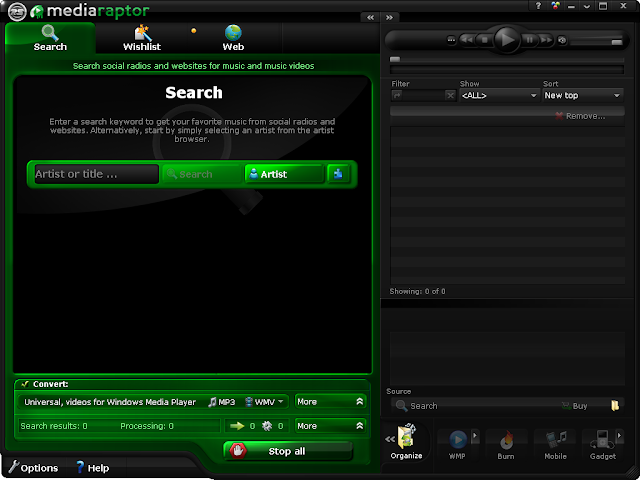 Mediaraptor Free - Find, download, convert music. ~ Android Forever! Mediaraptor Free - Find, download, convert music. "Are you looking for a certain song or music video by your favorite artist? Mediaraptor can find what you need in more than 10 of the best internet portals. Just enter what you’re looking for in the search field and Mediaraptor will record it automatically from social radio stations and video portals."